DAT/EM CAPTURE turns a photogrammetric stereoplotter into a 3D ground coordinate digitizer for AutoCAD. Image features are collected directly into AutoCAD&qout;s DWG format files. 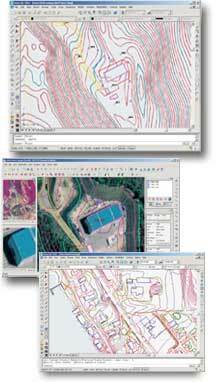 DAT/EM CAPTURE provides many digitizing, mapping and editing enhancements for AutoCAD. DAT/EM CAPTURE&qout;s interface and functionality remain consistent across all stereoplotters - analog, analytical and digital - making it a perfect choice for multiple platform production shops. DAT/EM Capture includes Map/Editor, a 3D data and file editing package. MAP/EDITOR reduces overall editing time by performing interactive and batch tasks defined and controlled by the user.